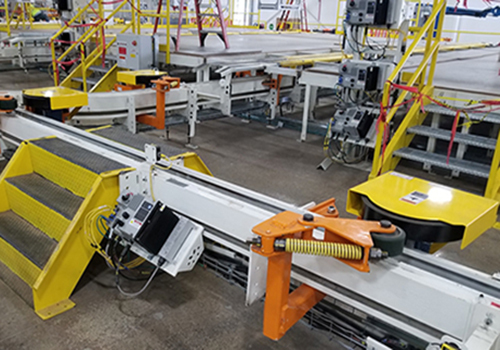 Friction Conveyor System – Overhead & Inverted - Automatic Systems, Inc.
ASI Friction Conveyors are a cost effective, low maintenance alternative to both Power and Free and Electrified Monorail Conveyors. Electrically driven heavy capacity carriers using ASI Trolleys. Quiet and clean, with no chains requiring oil / grease and no EMS copper contact dust to contend with. Designed for use with high production rates and can be configured for various speeds individual zones. 6” Overhead and Inverted – 3500 lbs per load bearing trolley. 4” Overhead and Inverted – 1500 lbs per load bearing trolley. Easily installed – low maintenance. Can be configured in an inverted or overhead style using the same basic design and components. Constant speed or variable speed available. Large urethane drive roll designed for long life. Back-up pressure wheel on all units at all times, through the use of properly placed spring loaded arms and Friction Drives. Diverging and converging switch transfer. 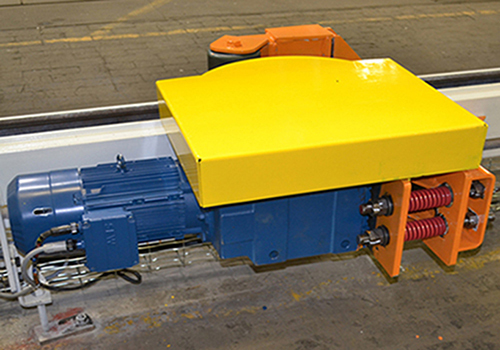 Electric or pneumatically powered track switches for positive placement. Electric track switches have an extremely long life cycle. No dead spots in the transfer area based on drive placement. Carriers stop through the use of zone controls. Carriers nest without high impacts, carriers decel into stations through the use of zone controls. Accurate positioning available through barcode scanning and tracking. Elevation changes are possible with 4 way linkage friction bars using inclines and declines. This is available for Inverted Overhead conveyor systems. Zone fault feedback for trouble-shooting problems. 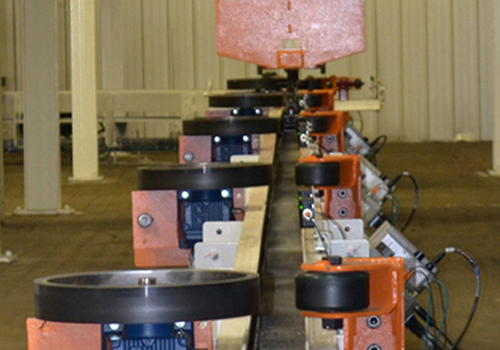 Each station has individual control flexibility; Armorstarts are located at each drive. Barcode scanning of carriers for maintaining production based carrier spacing. Track switches can be pneumatically or electrically driven. 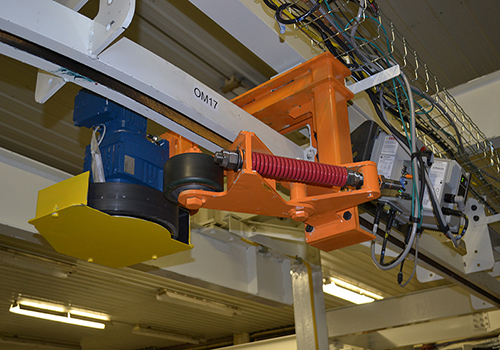 Belt / Chain assist conveyors can be used in harmony with this system. Inverted or Overhead design available. 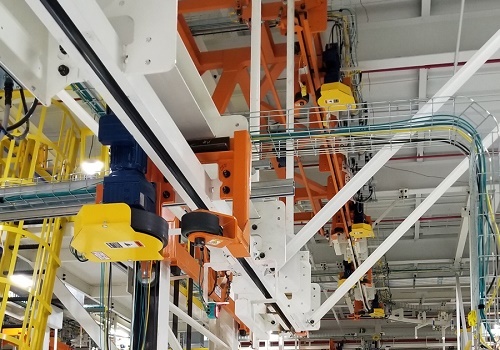 An Inverted and an Overhead Friction System Demonstration Loop are available to view at our Kansas City, MO demonstration center. Both loops combined total over 1100’ in length with many of the features listed above. If you would like to schedule a showing please contact us via email at sales@asi.com or by calling our worldwide headquarters (816) 356-0660.